Despite the advancements we have come to know in display technology, most of the prominent offerings from the giants of the industry are still way above some consumer’s limited budgets. There are a very few affordable alternatives since some of them either have lesser features, or poor performance, while still being expensive despite the price differences between the top choices. If you are seeking for the best gaming monitors currently available in the market, most of them have 27-inch form factors with 1440p or higher. Models like these represent decent upgrades to the 21-24-inch 1080p displays of yesterday. Some would even go to extremes and get 34-inch ultra-wides or massive 4K displays which cost a fortune just to get a taste of the promised exciting and vibrant gaming experience. But then again, there are even cheaper alternatives not regularly found on popular retailer establishments and websites, since these products come from the eastern side of the globe. We’re talking about Korean monitors, which have steadily risen in popularity alongside the elevating prices for products that we can consider bleeding-edge. These products offer similar specs at considerably low prices, with sacrifices regarding unimportant facets such as design looks and accessories. For people looking to spend a lot less than anyone normally would, these hidden gems are the best go-to purchases you can get if the upgrade itch starts to tingle but the wallet or bank account is not willing. The biggest question for this category is how these companies which are unheard of able to offer dazzling specs such as 144Hz, Freesync or even 4K at such low prices? The answer is quite simple. Panel manufacturers such as LG Display and Samsung often produce these screens in vast quantities to reduce cost and maximize raw materials. Of course, not all of these panels are accepted after strict quality control measures, since some may have a dead pixel or two or slight imperfections rarely noticeable. Other companies such as Pixio are quick to defend their products, stating that the panels they use are all specially manufactured and brand new. This statement proves another theory that most of the screens that find their way into these affordable offerings are usually from overstock, sold at substantially lower prices to empty warehouses and make room for the newer products. Risks are revolving around the facts mentioned above, but currently, experts cannot confirm whether these panels are substandard or not. There is no way to prove the theories mentioned above without some corporate espionage or full disclosure from the brands described in this guide. There are also other risks involving warranty claims, return shipping and the like. Most of these models are sold via Ebay and shipped direct from Korea, but there are reputable retailers such as Amazon.com, Newegg.com or Massdrop.com who carry these products for the western consumers. Despite the mentioned risks, these products are still of excellent value and tempting, since they offer some of the best facets a monitor can provide an outstanding gaming experience. To emphasize value, we did not opt to include 1080p screens since this category is already affordable at the time of this writing. 1440P represents the sweet spot for monitor upgrades since most of us are coming from aging 1080P products. Top tier offerings in this category mostly cost more than $500, and these options we present here represents the best alternatives that can offset the high costs of upgrading to QHD. In our opinion, when going up a notch in upgrading, the newer product shouldn’t cost twice as much or more as the outgoing peripheral. In this case, most 1080P gaming monitors only go for around $200 to $300, but 27-inch 1440p monitors, on the other hand, 1440P offers 75% larger desktop real estate but at a cost increase of more than %100. 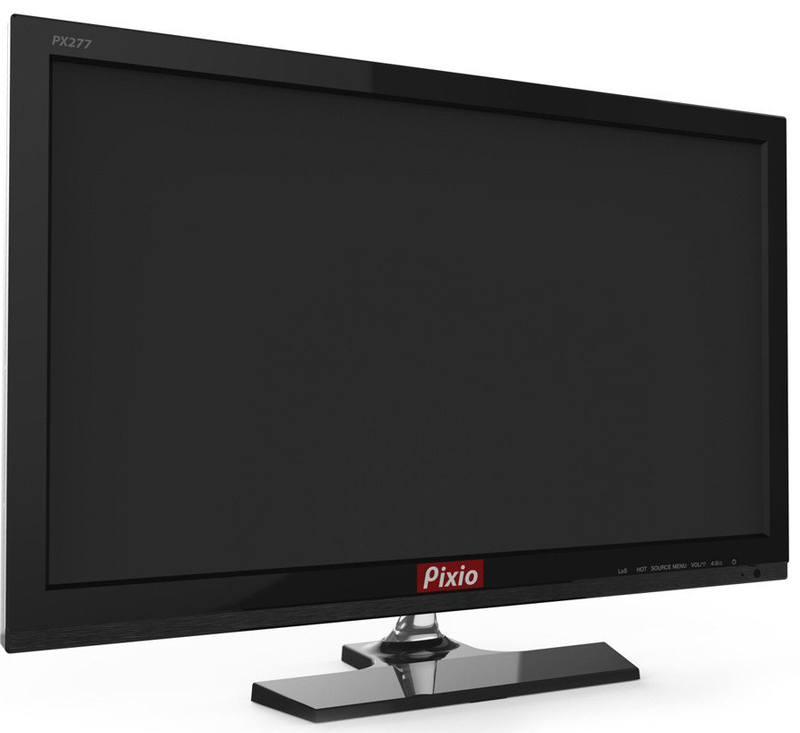 We did a review of Pixio PX277 a few days ago, and judging from its price at under $400, we can say that the product presents an incredible value for a 27-inch monitor with 1440p, 144Hz refresh rates, and Freesync. Out of the box, the colors appear washed out, and the brightness was a little too low resulting in poor contrast, but upon tweaking the settings in the user-friendly OSD, we did get a fair color representation that was a little over-saturated, but still ideal for vibrant and cartoony games such as Overwatch. The PX277’s furniture is wobbly at best, and some reports have stated that there are specific items which have a skewed posture. You can get an aftermarket mount to solve this, so we can safely say that this is a minor issue. We also tested the Freesync tech in this bad boy, and we are glad to say that it was functional and AMD’s LFC (Low Framerate Compensation) tech did do wonders for our Battlefield 1 tests. We can also say that this product’s performance is very close to one of our favorite Freesync Monitors, the Acer XG270HU which costs at least, a hundred dollars more. The Crossover 27 Fast is one of the most expensive products in this category. Most of the other Korean monitors we have come to know mostly have overclockable refresh rates, but this model is one of the few who can produce 144Hz refresh rates without any tweaking. The 27 Fast also has Freesync enabled in its innards, but sadly, the limit lies around 48 to 60fps, which is strange since most other products would support up to the full 144Hz. Still, this product presents incredible value with its AHVA panel capable of great colors and viewing angles. It is expensive at around $460 at the time of this writing, but when comparing it against great contenders such as the Acer XB271HU which costs at least $200 more, you get almost similar performance numbers and high refresh rate capabilities at a fraction of the latter’s cost. Also, most Korean monitors look cheap or frail, suffering from poor build quality or substandard stands. You won’t see that kind of build quality with this product since it looks more expensive than it costs due to the extra thin bezels and a unique boomerang stand with an aluminum finish. To top things off, Crossover also includes a remote control to access the OSD features of this product. By today’s standards, the Crossover 2795QHD shouldn’t make this cut since it does not have 144Hz or Freesync, but it does offer 1440P and a 27-inch real estate, 75Hz native refresh rate which is overclockable to 100Hz+ depending on each one. 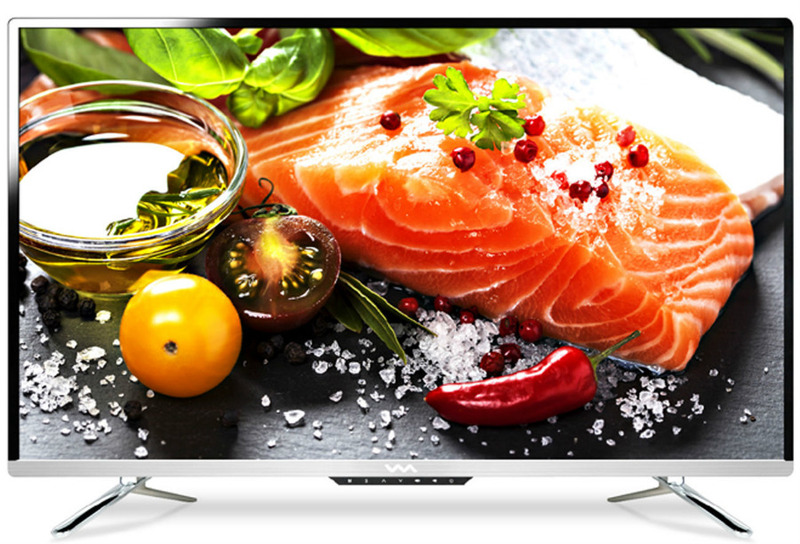 The ability to push a gadget beyond its specified capabilities has always captivated enthusiasts, and that makes the 2795QHD popular with the tweaking crowd. Curiously enough, achieving the high refresh rates via overclocking isn’t the same with what Asus is offering in their 165Hz displays like the Asus PG279Q, which delivers its maximum threshold at the press of a button. In this Korean monitor, 100Hz+ is achieved through your graphics card and software. Nvidia and AMD users need different means to achieve the fastest refresh rate possible, but it is done in each brand’s control panel, with AMD requiring an additional tool (ToastyX CRU) to produce the same. Aside from that feature, the Crossover 2795QHD is capable of decent color accuracy with its 8-Bit IPS panel, despite lacking an expanded OSD. This monitor also exclusively uses DVI-D for inputs, so be sure that your GPU has the necessary connector to make this product work. The Crossover 27QX144 features a crisp, 2560 x 1440 resolution with a 144Hz refresh rate which is perfect for competitive gaming. Just like its high-end competition, this model also comes with valuable features such as FreeSync that optimizes your game’s smoothness with the help of an AMD graphics card. There are also Game Mode features which includes various genre-based filters and a Cross Hair overlay which are all designed to advance your competitive edge during play. The Crossover 27QX144 is by far, one of the best looking Korean gaming monitors we have seen thanks to its sleek aesthetics with a gorgeous curvature. 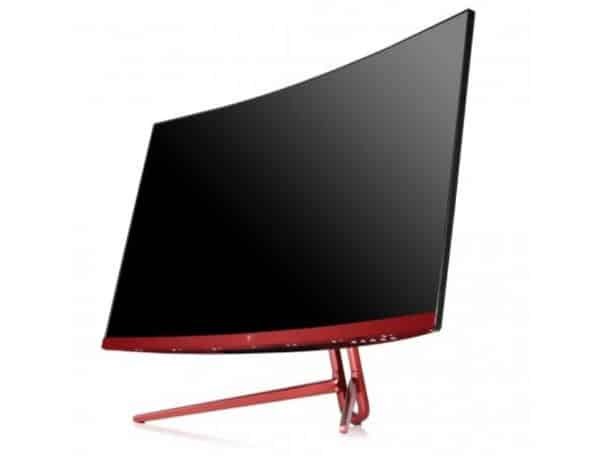 The monitor is bezel-free on three sides for unobstructed viewing, plus the metallic red treatment gives it an subtle gamer-centric appeal. Build quality and functionality has drastically improved over past models, but what’s most impressive is the I/O layout which even includes DisplayPort 1.4. 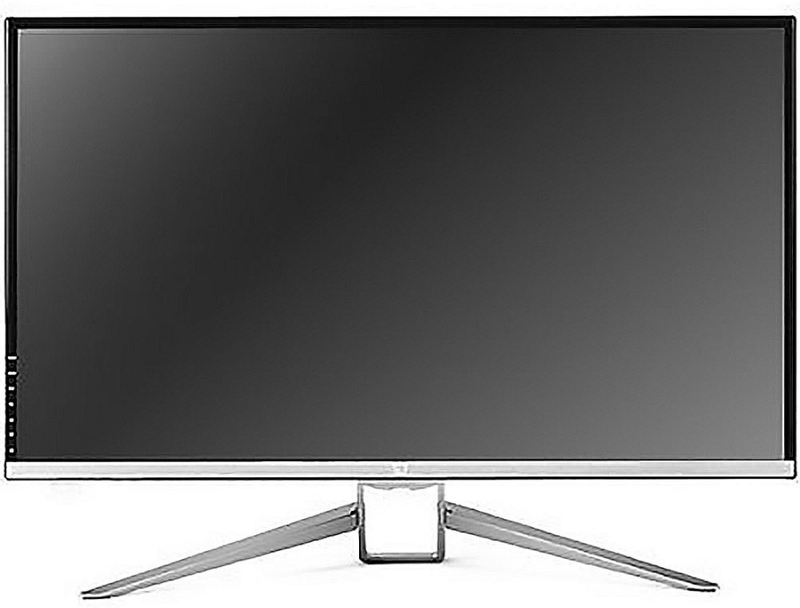 4K monitors are a highly sought-after commodity in the display world. Our technologies in graphics processing of current GPUs and CPUs present limited efficiency and utilization of this resolution, but still, consumers who are looking for the best that money can buy or are considering an extent of future proofing are aiming for display products with this resolution in their features list. 4K upgrading can cost more than a thousand dollars, but of course, there are a few alternatives that wouldn’t require four digits for ownership, but these products mainly focus on mainstream applications or regular home and office usage making them unsuitable for gaming tasks. In this category, the options we present have gamer-centric features such as Freesync or slightly larger form factors for maximized immersion when compared to similarly priced 4K offerings. 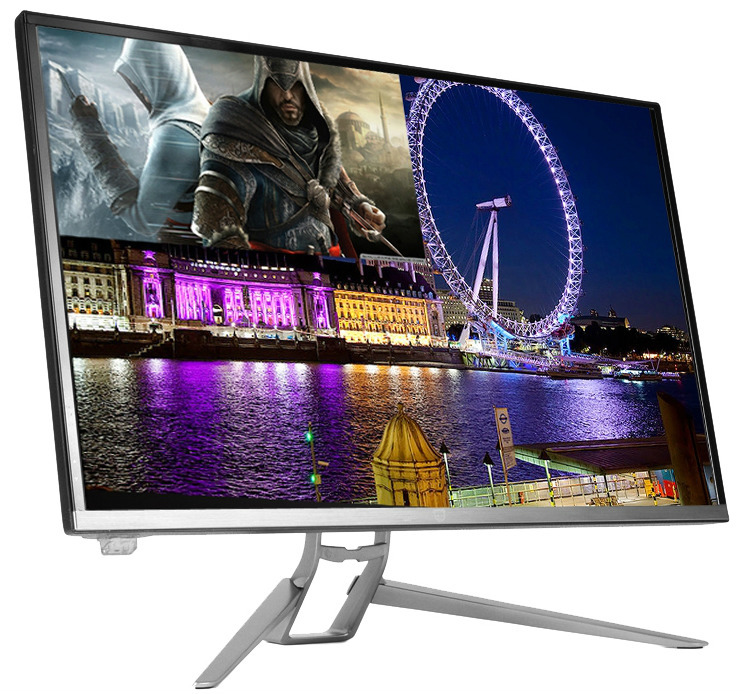 4K gaming offers a whole new level of appreciation and enjoyment, and in our opinion, its benefits are better experienced on upsized monitors from 32 up to 40 inches. With that said, it can get very expensive, or you can end up giving up on the whole idea since a product which fits the descriptions mentioned above would probably cost over a thousand dollars. However, the AMH A409U costs half of that, and it still offers 4K gaming at 60Hz. This product features a VA (Vertical Alignment) panel which sits somewhere in between IPS and TN regarding performance, but mostly presenting improved contrast ratios for deeper blacks and color transitions. Input lag is not as good as what the 1440P monitors offer, but if you are into playing immersive titles at 4K resolution, super-fast reaction times are the least of your concerns since you most probably will be too busy admiring the scenery and the expansiveness of the image playing before your peepers. This model comes with HDMI 2.0 and DisplayPort 1.2 for signal input, but there is a USB port which isn’t for external connections, but instead, it serves as an input for firmware upgrades. This fact means that somewhere along the line, we may see an update that includes Freesync functionality into the monitor. The Wasabi Mango UHD420 is the better-looking alternative to the AMH offering above, but its advantages are not limited to that aspect alone. This offering includes Freesync to keep games smooth and tearing-free, making the inclusion of AMD’s VRR tech ideal for its 4K 60Hz capabilities. Instead of a VA panel, the UHD420 uses an IPS panel from LG, so it is safe to assume that Wasabi Mango’s 4K offering may have similar performance capabilities with some of LG’s more expensive models. Another significant advantage for this monitor is it is capable of overclocking to 120Hz at 1080P, giving owners an option to play competitive titles such as Overwatch and CS: GO at FHD which is the preferred resolution for the mentioned titles, with the promise of fast refresh rates. 1080P isn’t ideal at this massive size, but the added functionality is a fantastic aspect considering that this product also goes for more or less $600. The two previous options we mentioned in this segment look more like TVs with their exterior features, and they are pretty huge for something that needs to be placed on top of a desk. If you want a compact option, and the Crossover 27 Fast’s gamer-centric looks with a touch of sophistication appeals to you, then the Crossover 324KS is the best choice you can choose in this category. The cabinet has a brushed silver finish, while the stand is powder coated in an aluminum gray finish making this one of the most beautiful Korean monitors we have seen. 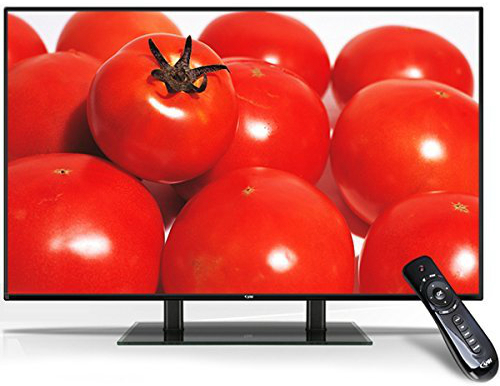 This product features an attractive AHVA panel capable of 4K at 60Hz. It’s a fact that today’s current gaming rigs are hard-pressed to produce consistent frame rates. For that problem, the 324KS includes Freesync with a range of 48 to 65Hz. The allowance may seem short, but AMD’s LFC tech will assist you in this regard allowing Freesync assistance when the frames dip to the 20s. While the picture quality is adequate for home applications, some units suffer from IPS glow. This flaw isn’t a deal breaker since the problem persists even on the expensive offerings from top-tier brands. As a reviewer, if I were to get a unit from the products mentioned here, this would be at the top of my list if I was shopping for an affordable monitor. We consider Ultra-wide monitors as a specialized category since this tier have similar price points with 4K products, but the benefits rely more on the wider field of views, great immersion, or multi-input applications rather than an expansive pixel count and level of detail. We are still waiting for monitors that can go faster than 100Hz, but at the time of this writing, there are none available for review or purchase. We only have one option in this tier, since other Korean ultra-wides are too expensive and slow for gaming applications. 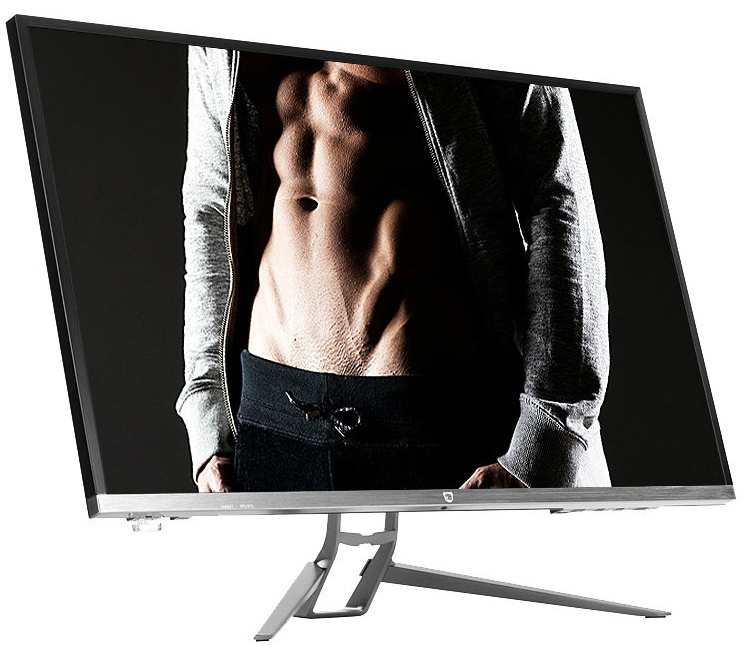 There is room for growth in this line, and as predicted by the expert’s news on the direction of the monitor industry, we may see an increase in demand for 21:9 displays by next year. If that is the case, then we may end up updating lists which include these wonderful gadgets with newer and better options. But for the purpose of this writing at this point, the lone option we have included in this roundup is the best alternative the Korean manufacturers have to offer. 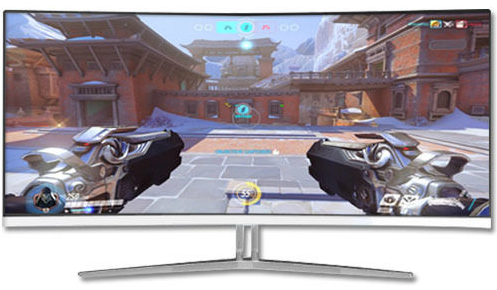 Curved ultra-wide monitors are a thing of beauty in a market which provides a lot of dazzling models with cutting-edge specs and modern design cues. At this point of the guide, it is a fact that most of these Korean displays we have chosen and those that did not make this cut look ugly when compared to high-end offerings. Most ultra-wide monitors look more like a piece of art on a desk rather than a techy gadget, as proven by the likes of the Acer Predator X34 and the Asus ROG Swift PG348Q. These examples cost more or less a thousand dollars, and they both have 100Hz refresh rates, adaptive sync tech, and physical designs which seem as if they have come back from the future. For a little over half of what these two commands for ownership, the Microboard M340CLZ does a similar job, providing gamers with an immersive experience, smooth gaming and Freesync for a much lower price point. Image quality is excellent for such an affordable product, but of course, color reproduction is not as good as they are on professional-grade products, despite the manufacturer’s claims of 10-bit color capability for the Samsung VA panel in this model. There are minor image issues such as blurring due to the slower pixel response rate, but these are minor flaws rarely noticed while appreciating the immersion you can experience from these types of displays. There may be some units that suffer from light leaks or dead pixels, but if you are shopping for affordable Korean monitors, you would probably know that taking the plunge into these beautiful products includes such risks. 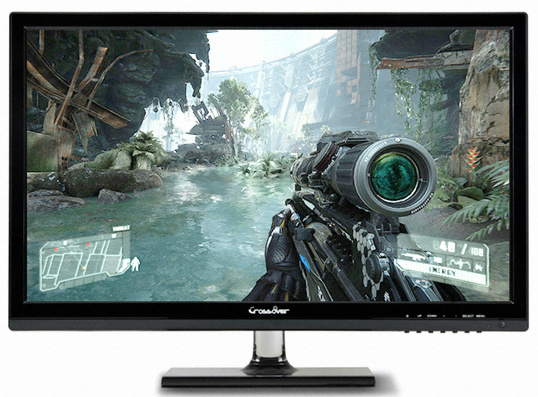 The latest technologies for gaming monitors can make products very expensive, and this is one big reason why enthusiasts and consumers alike take the plunge on cheap Korean monitors despite the risk of defects, lengthy and costly RMA turnarounds, or just simply swallowing the poor build qualities prominent with these products. But surprisingly, there are a few standouts that can provide a near similar experience and appreciation you can get from expensive offerings such from Asus, Acer, BenQ or Dell. If you search for these types of products in Google, you will see suggestions containing questions regarding the worth and relevance of these offerings. In our opinion, Korean displays will stay relevant for a few more years than expected, as long as manufacturers continue to produce vast quantities of panels with different technical advancements. We may soon see HDR gaming displays or 240Hz Ultrawides in the future, so it is safe to assume these unpopular brands will come up with newer and better models to match whatever advancements the tech giants have to offer at considerably lower price points. Not all of these options are ideal for most users, but at the time of this writing, our selection represents the best your hard-earned money can buy if you are a consumer who refuses to pay exorbitant amounts of cash for what the corporations have to offer. Don’t get us wrong, if we had the extra load of money to spend, we would choose the top tier offerings like the Asus PG278QR or the Acer XB271HK for gaming, or other similar options which are included in some of our best pick guides. But if we were in a familiar spot most consumers find themselves in, such as situations where there is a want or need for an upgrade but currently strapped for cash, these Korean monitor options represent the best value you can get for the hard earned money you are willing to spend. Hi, Jarom! From what we know so far, its comparable to MSI’s MAG241C or AOC’s C24G1. We have no idea how it performs since we haven’t tested it, but its priced too high for a Korean monitor at this time.